To begin with my standard disclaimer: This may be my list of the Top 10 Movies of 2017 – but it’s not necessarily a rundown of the year’s 10 Best Movies. Because, quite frankly, I haven’t seen every single movie released anywhere in the US during the past 12 months. But this most certainly is a list of my favorite films to open in US theaters in 2017. These are, of course, purely arbitrary and totally subjective choices. And I’ll freely admit that, a decade or so hence, I might look back on the following lineup and want to make additions or deletions. (Maybe I’ll even get over my traditionalist hang-ups, and toss a Netflix-only title or two into the mix.) At this point in time, however, I can honestly state these are the 2017 releases that impressed me most. And best. So there. And before anyone asks about any films that are not on this list, let me offer this blanket response: Those films may indeed be noteworthy. But I liked these more. Colossal. For me, writer-director Nacho Vigalondo’s audacious genre mashup was the perfect movie for 2017, a year bound to be forever remembered as the moment in time when the tide started to turn for women who have been intimidated, subjugated and otherwise humiliated (verbally or physically) for far too long. 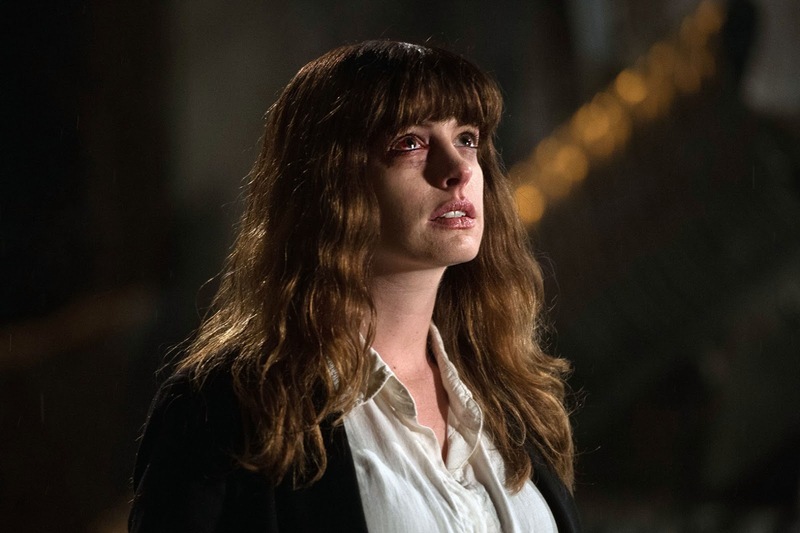 Better still, it’s a splendidly imaginative and exceptionally well-acted entertainment, with Anne Hathaway perfectly cast as a self-destructive and psychologically wounded writer who finally finds the strength to save herself — after fortuitously mind-melding with a humongous kaiju — and Jason Sudeikis boldly cast against type as a deceptively ingratiating under-achiever who’s unveiled as a control-freakish monster. As I said: The perfect movie for 2017, and maybe even better as the gateway to the year of Time’s Up. Lucky. To repeat what I wrote in my Variety review after the 2017 SXSW premiere of John Carroll Lynch’s directorial debut: “Everything Harry Dean Stanton has done in his career, and his life, has brought him to his moment of triumph in Lucky, an unassumingly wonderful little film about nothing in particular and everything that’s important.” Stanton gives the performance of a lifetime in this life-affirming dramedy about a proud eccentric facing death. (Ironically, the much admired character actor passed away, at age 91, just weeks before the movie’s theatrical release.) And he gets strong support from an ensemble supporting cast that includes David Lynch as the distraught owner of a runaway tortoise, James Darren as a putatively reformed ne’er-do-well, and Beth Grant as the gregarious but not infinitely patient owner of the title character’s favorite watering hole. Wind River. Howard Hawks famously defined a good movie as one that has three good scenes and no bad ones. Taylor Sheridan’s furiously mournful yet ultimately hopeful drama about violent crime and cruel punishment in a wintery stretch of Wyoming is a great movie with at least three great scenes, two of them featuring extended conversations between Jeremy Renner as a soul-wounded animal tracker pressed into service as a manhunter, and Gil Birmingham as the grieving father of the young Native American woman whose murder has sparked the manhunt. The third scene? Take your pick: Either an edgy standoff between two heavily armed groups that builds slowly, mercilessly, to chaotic mayhem, or the brutally efficient forced-feeding of just desserts during the hugely satisfying climax. Kedi. Yes, Ceyda Torun’s magically graceful and effortlessly engaging documentary about free-roaming felines in Istanbul is the greatest cat video ever made. You have a problem with that? Truman. Cesc Gay’s richly amusing and deeply affecting film about two friends (Ricardo Darin of The Secret in the Eyes and Javier Camara of Narcos and The Young Pope) who enjoy a final reunion under the shadow of impending death made only a fleeting appearance in US theaters in 2017, nearly two years after I reviewed the Spanish-produced dramedy at the 2015 Toronto Film Festival. On the other hand: For what it’s worth, it’s one of the very few 2017 release to score a 100 percent Fresh rating on Rotten Tomatoes. So don’t just take my word for it: This is an unjustly overlooked gem that is more than worth the effort to seek it out. I, Tonya. Equal parts inspired faux documentary and incisive character study, Craig Gillespie’s casually astonishing satirical drama is an altogether worthy showcase for Margot Robbie’s gold-medal-worthy performance of notorious ice skater Tonya Harding as a world-class athlete who was never allowed to completely transcend her white-trash roots. And speaking of golden prizes: Here’s hoping Allison Janney winds up in the winner’s circle on Oscar night for her fearless performance as Tonya’s spectacularly appalling mother. The Big Sick. Arguably the most warm-hearted and explosively funny movie ever made about generation gaps, cultural clashes, and medically induced comas, director Michael Showalter’s Sundance Film Festival favorite is a marvelously messy love story crossed with an arrested-adolescent coming-of-age narrative, shrewdly and sensitively written by real-life marrieds Kumail Nanjiani and Emily Gordon, and skillfully performed by Nanjiani and Zoe Kazan as lovers driven apart by his feckless indecision and reunited by her life-threatening illness. Extra added attractions: Scene-stealers Holly Hunter and Ray Romano as the ailing woman’s seemingly mismatched parents, and Zenobia Shroff and Anupam Kher as the immature fellow’s traditional Muslim immigrant mom and dad. Last Flag Flying. Richard Linklater’s “spiritual sequel” (or whatever) to 1973’s The Last Detail — which, like this film, was based on a novel by co-scriptwriter Darryl Ponicsan — works beautifully on its own terms as a profanely funny and affectingly melancholy dramedy about three Vietnam War vets (a dead-solid-perfect trio of Steve Carell, Bryan Cranston, and Laurence Fishburne) who are reunited, whether they want to be or not, when one of them is informed that his son has been killed in the Iraq War. Better still, and more so than any other film I can think of since Alexander Payne’s Nebraska (2013), it ends precisely when it should. Lady Bird. The amazing Saoirse Ronan is by turns endearing and annoying and selfish and sympathetic and all kinds of other amazing things that she absolutely has to be as the self-named title character in writer-director Greta Gerwig’s free-form yet tightly disciplined coming-of-age comedy-drama. Set in Sacramento, California during her 2002-03 senior year at a Catholic high school, the film charts Lady Bird’s sometimes warm, sometimes rocky and sometimes surprising interactions with, among others, her passive-aggressive mom (Laurie Metcalf), her mild-mannered and newly unemployed father (Tracy Letts), the best friend she briefly betrays (Beanie Feldstein), the caddish boyfriend who’s altogether unworthy of claiming her virginity (Timothée Chalamet), and Sister Sarah Joan (Lois Smith), the principal who knows Lady Bird almost as well as we come to know her by the end of Gerwig’s irresistibly embraceable movie. Anne Hathway os my favorite actress but haven't watched this movie yet thanks for the review will definitely watch it this Saturday.